We’re not given to advertising products directly but as there are no strings attached to UX Pin’s very generous free Guide to Wireframing we thought we’d take a look inside and we are glad that we did. It takes a good long look at the history of wireframing and how to build effective wireframes for your product. Most importantly; it teaches you how to develop great wireframes with the kind of software you already have installed on your PC. Of course, there’s a plug for UX Pin’s very usable wireframing software but there’s no obligation to such much as try it when you download the book. Download the Guide to Wireframing here. If you can’t be bothered to read a whole book on wireframing then you might be better served with Matt Beach’s classic article on how to wireframe your site. It’s quick, it’s dirty and it definitely gets the job done. If you really want to get lost in the possibilities that wireframing can offer you then you might just want to head over to Wireframes magazine where there’s a particular focus on IA use of wireframes (though there’s plenty for everyone else too). Updates are a little bit sporadic (we guess that’s because most of what needed saying has been said) but the content’s evergreen so that shouldn’t matter too much. Find Wireframes Magazine over here. This is a great article that reinforces the need for wireframes in web design projects. It also points you in the direction of a number of tools that you might want to use to develop those wireframes in too. Not everything has to be high-tech when it comes to user research and UX design and this article is the perfect foil to the instant rush to the computer mode that comes on most of us at some time or another. 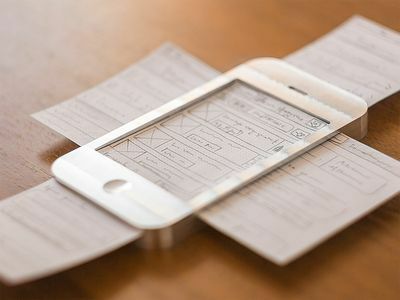 You can build wireframes cheaply and easily on paper and this article shows you exactly how to do just that. Find out how to build paper wireframes here. This guide from Grace Smith is awesome. It’s a huge all-in-one approach to tools, techniques and more in wireframing. It highlights a lot of additional resources too.